Crown Communities is all about the juxtaposition of traditional home building values and new, forward thinking passion. 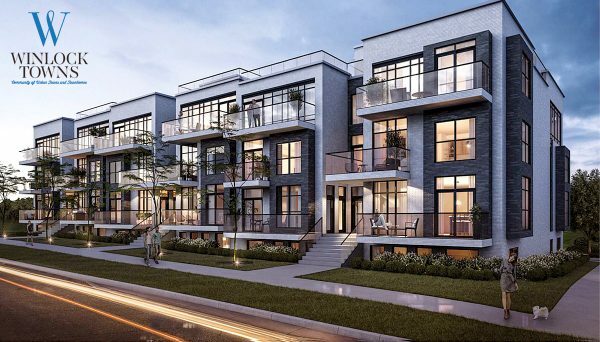 This is embodied by focusing on quality craftsmanship and materials, while also considering how a project will syntheynthsize with the rest of the neighbourhood, as well as how it will improve the lives of its new inhabitants. This is how they’ve been able to be responsible for some of the most anticipated projects in the city. Their president and founder Adam Taverna comes from old real estate stock, so he grew up amongst the culture of building and development. This is perhaps where he learned to appreciate the value of quality craftsmanship and materials. Of course it’s important to make something look nice. But it won’t matter if it falls apart. They been able to blend these traditional tenets with cutting edge vision. Taverna and his team have come to understand that in order to make truly spellbinding projects, a development firm must work with the aesthetics of the existing neighbourhood, as well as the lives and wellbeing of their future residents. They try to improve the lives of their residents through building high quality and beautiful spaces. They strive to create developments with forward thinking designs, but still manage to integrate well with their neighbourhoods. There are a few different methods for achieving this. One is to merge the different architectural legacies that have come to identify the GTA. We’re already seeing this throughout the city. Numerous mid-rise developments are building a foundation and facade with red brick, and entwining them with glass and steel. This harkens back to the age of Victorian industrial architecture while also respecting the modern trends of the towering high-rise condos in downtown. This developer knows how important it is for its residents to live full and complete lives, and they understand that communities are more than buildings, it is the people that inhabit them. Striving to make good homes will necessarily attract great people. These dedications can be seen in the projects they’re developing throughout the GTA. When you look at the locations in which they’ve chosen to build, it’s easy to see that they choose their future neighbourhoods very carefully. Nova Urban Towns is a great example of what this developer is all about. It is located in one of the best up and coming neighbourhoods in the GTA. Willowdale is a large neighbourhood in North York, and in addition to a vast expanse of residential low-rise homes, it also encompasses North York Centre, which is one of the city’s primary commercial business districts. This means that this development is close to an employment centre, restaurants, public transit, highways, and more. What more could you want? The design typifies what this developer tries to accomplish with each one of their developments. It is a four storey mid-rise with most of its facade sporting red bricks, which resembles the surrounding low-rise housing. It has also got its residents in mind. 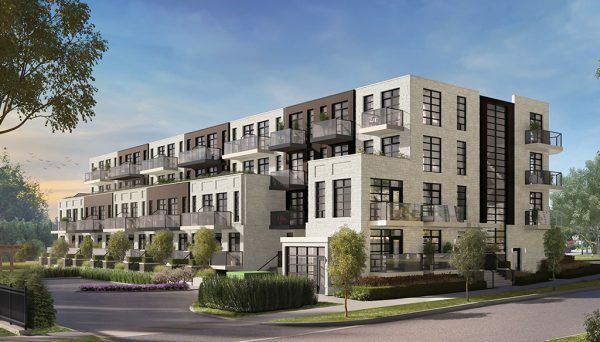 This can be seen by the tremendous amenities that are located throughout the building, including a rooftop patio that we’re sure will become your favourite spot on those warm summer nights. All of these commitments are so important to the city because they are shaping the future of Toronto. We’re seeing a boom in skyscrapers in urban centres, but more and more developers are seeing the benefits of building mid-rise condos. This is because they can increase the density of a given area, and they can also be completed much quicker than high-rises. Building condos in this style is definitely the way of the future. 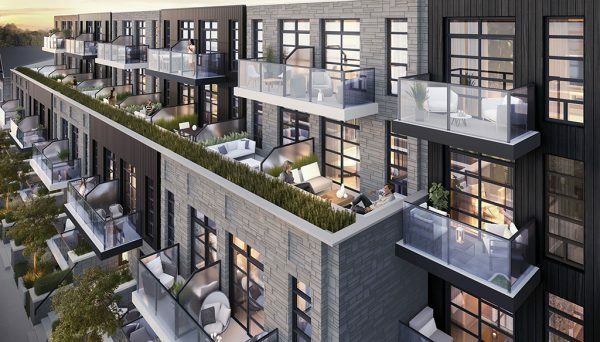 This developer will be one of the younger firms that ushers in this new movement in Toronto real estate. They will use their aptitude for taking the important aspects from older traditions and combining them with forward thinking design and industry practices. This is doing wonders for developing projects that are built to last, as well as shaping the future layout of communities throughout the GTA and beyond. Like what you hear? Then don’t miss out! This developer is here to stay, and they’re sure to build some of the best condos in all of the GTA. Register today so you’re the first to learn about any upcoming projects.